The Harley-Davidson brand is very famous for its ultimate performance agility and unique design. It is designed with the theme of 70s bikes in mind with the tradition of an old school. The rider can easily reach the handlebars to enjoy an extraordinary ride. The review of new 2019 Harley-Davidson Low Rider Softail with its price and specifications are given below. The new 2019 Harley-Davidson Low Rider Softail comes with the cost of $15,049 only. The new 2019 Harley-Davidson Low Rider Softail features the powerful and smooth-running Milwaukee-Eight 107 V-Twin engine. This new engine has been carefully optimized to deliver the crisp throttle response with the pure soul-satisfying cues. The bore to stroke ratios is about 3.937 inches and 4.375 inches respectively. The fuel system consists up of an Electronic Sequential Port Fuel Injection (ESPFI) like in 2019 Harley-Davidson Street Bob. The latest exhaust system contains the two into one shotgun with a new catalyst in a muffler. The new 2019 Harley-Davidson Low Rider Softail features an excellent and stylish design. 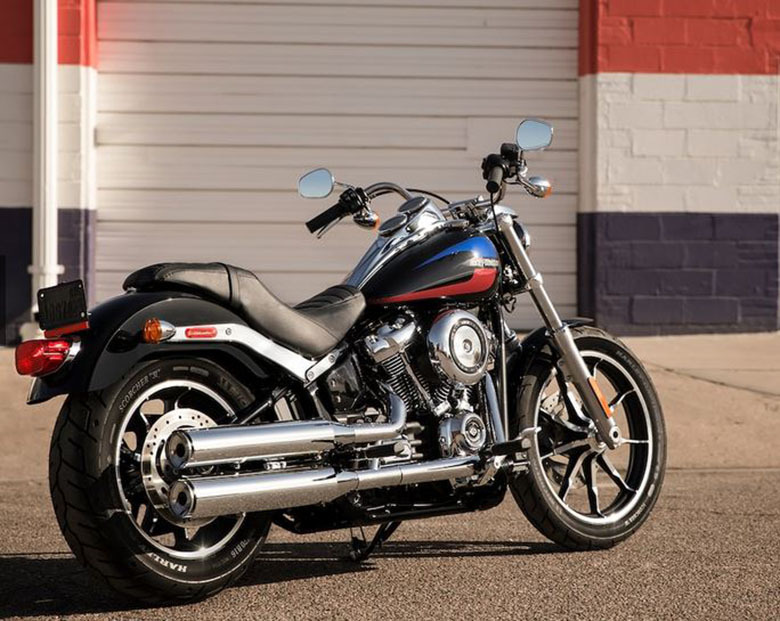 It features a reinvented frame that retains the classic Softail lines. It has the lightweight design and stiffness. It contains the chromed-out from headlight visor to exhaust. The dual tank mounted gauges, headlight visor and 70s-inspired tank graphics carry forward the traditional Low Rider bike cues. The new bold aluminum wheels ensure to provide the right modern classic look — the new darkness-defying lightening that provides greater visibility at night. The suspension system consists up of the sophisticated technology that offers the latest racing-style cartridge fork for low weight and linear damping characteristics. 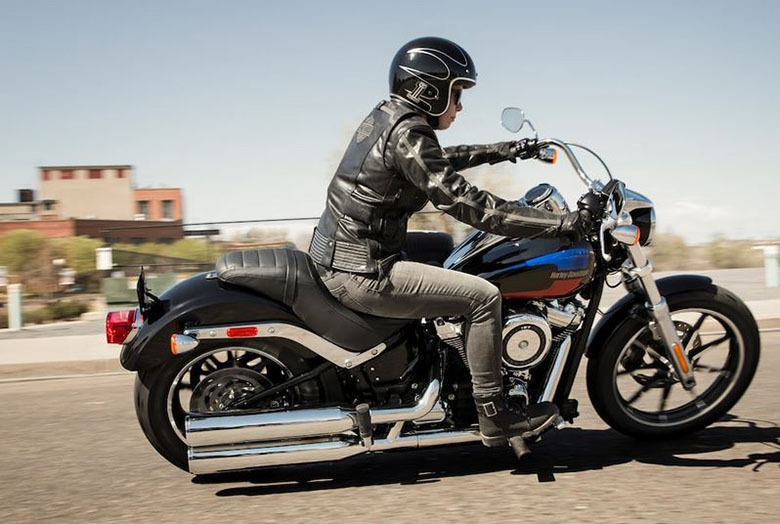 As compared to 2018 Harley-Davidson Low Rider Softail, there is an easily adjustable mono-shock rear suspension that lets the rider for dynamic cornering capability, quicker acceleration, and braking while preserving the hardtail look. 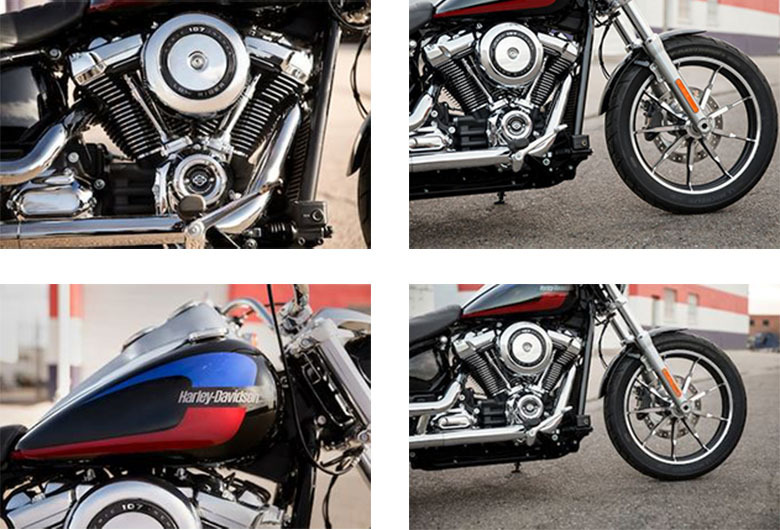 This article provides the review of new 2019 Harley-Davidson Low Rider Softail, and it is covered under bikescatalog.com. This Softail features the powerful V-Twin engine that ensures to deliver the massive amount of power and acceleration under all conditions. The standard and stylish chassis have been designed by keeping the design of the 70s in mind. The rider can enjoy the smooth and comfortable long ride due to a comfortable seat and well-designed handlebars.